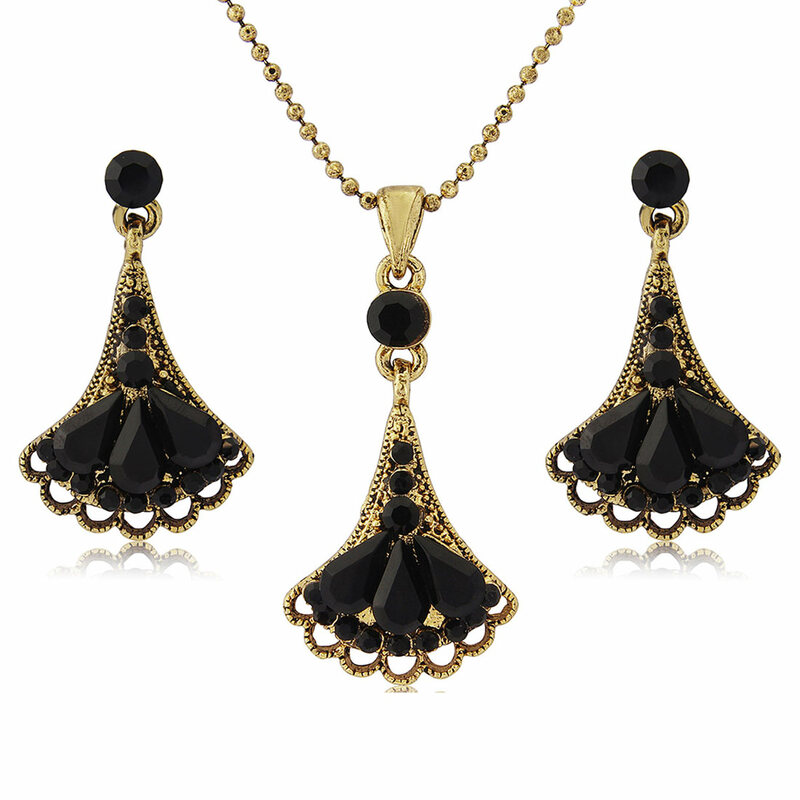 Fans of Art Deco style will adore our chic black crystal Decadence of Deco Jewellery Set, with its fan shape gold pendant & earrings. The chic glamour of our Decadence of Deco Jewellery Set never fails to make the most exquisite style statement. 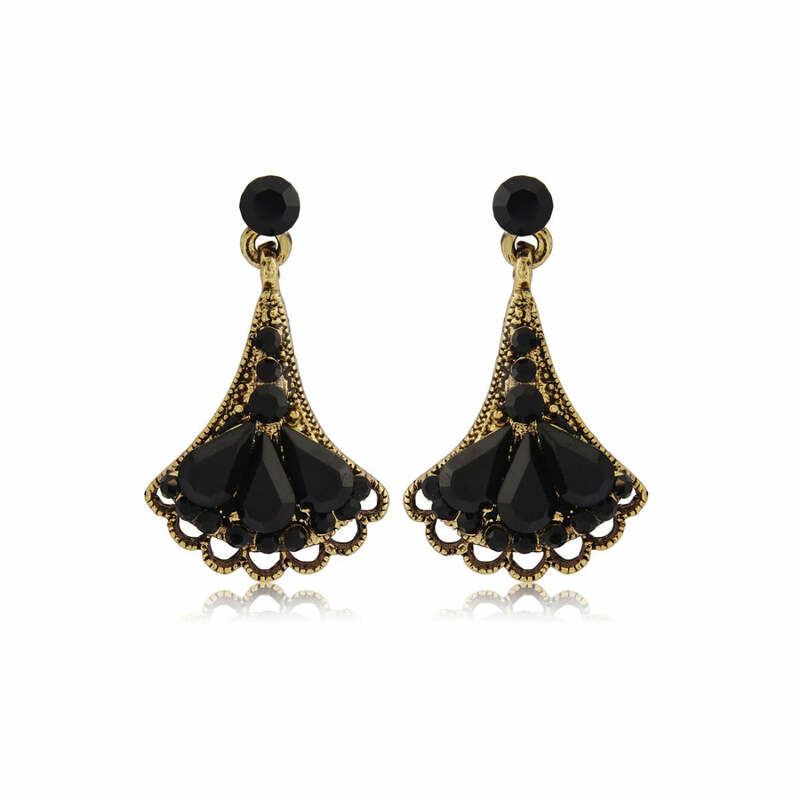 Featuring an antique gold tone fan shape encrusted with shimmering jet Austrian crystals and dainty scalloped edging, this matching drop earrings and pendant is quite simply a must-own for fans of Art Deco vintage jewellery. An exquisite wedding jewellery set to complement 1920s style bridesmaid dresses or a fabulous black and gold Gatsby theme, your bridal party will adore wearing this duo on your special day and beyond. 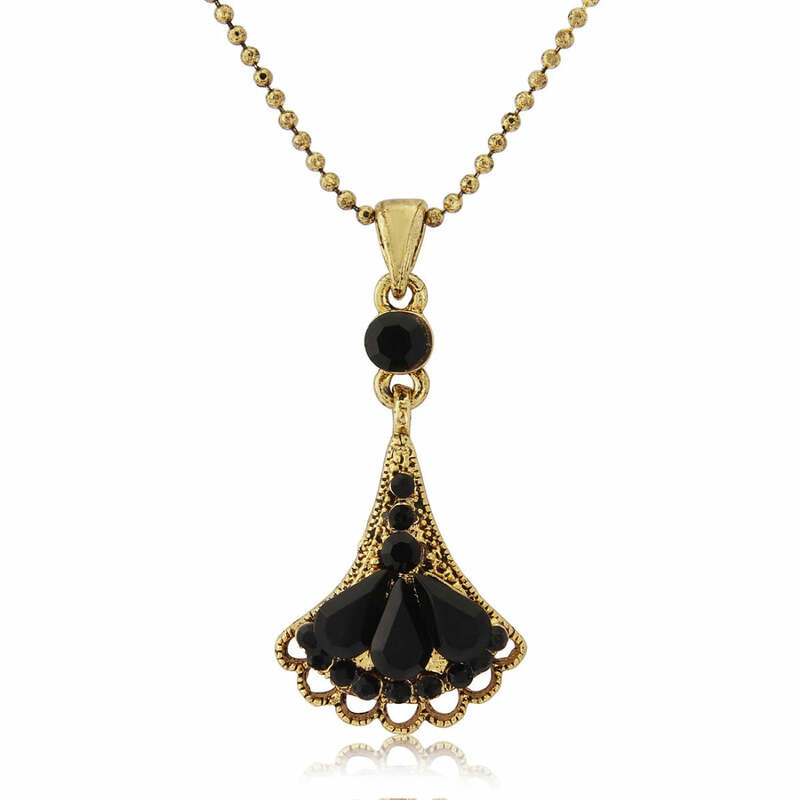 With such versatile style, our Decadence of Deco is sure to spend very little time stored away in your jewellery box. From dressing up a black sweater to a glamorous floor-sweeping evening gown, this luxurious duo adds the perfect finishing touch for every occasion.